day 314 and those that have been around for the last 300ish days will know i love anything that can be personalised .... and that i love a good pillow to decorate ... today i am joining those two things together again to make a pillow for ben's bedroom. he has a room that has a bit of a travel thing going thanks to his love on tintin. all the travel things i love are generally REALLY expensive because they are more for adults than a tween or they are for toddlers and are more geared to transport than travel. time to put purchasing aside and make something instead. 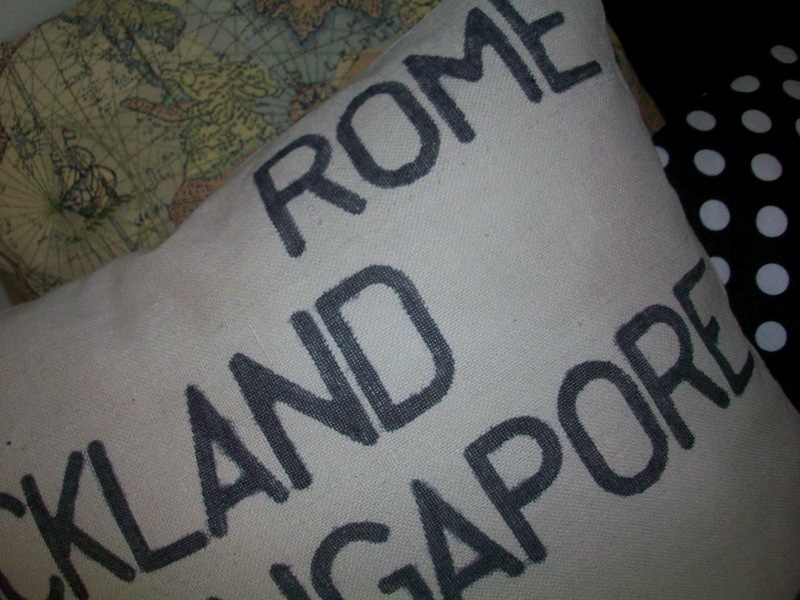 i was hooked on this pillow as soon as i read diy personalised pillow with ... stencils! the shelterness website has a great, good to follow tutorial on how to use stencils to personalise a pillowcase for your home. 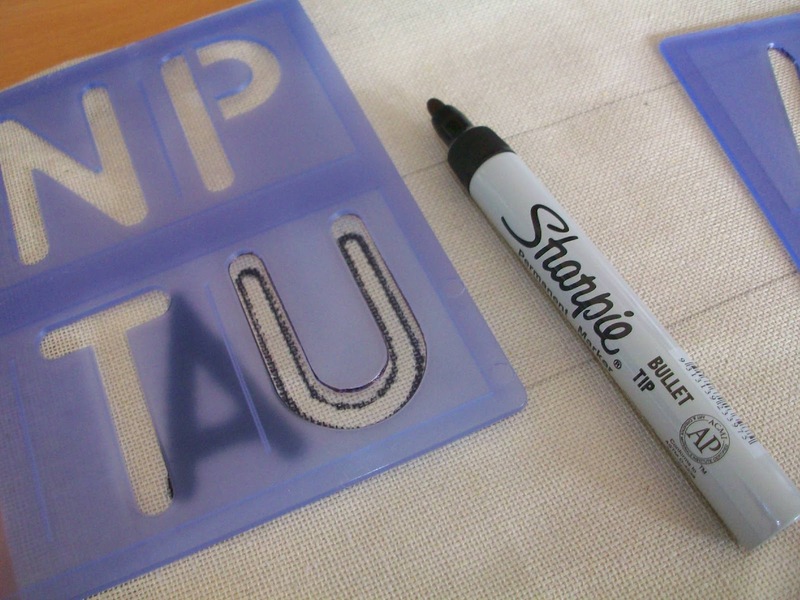 this creation is also pinned to my general crafts board on pinterest. 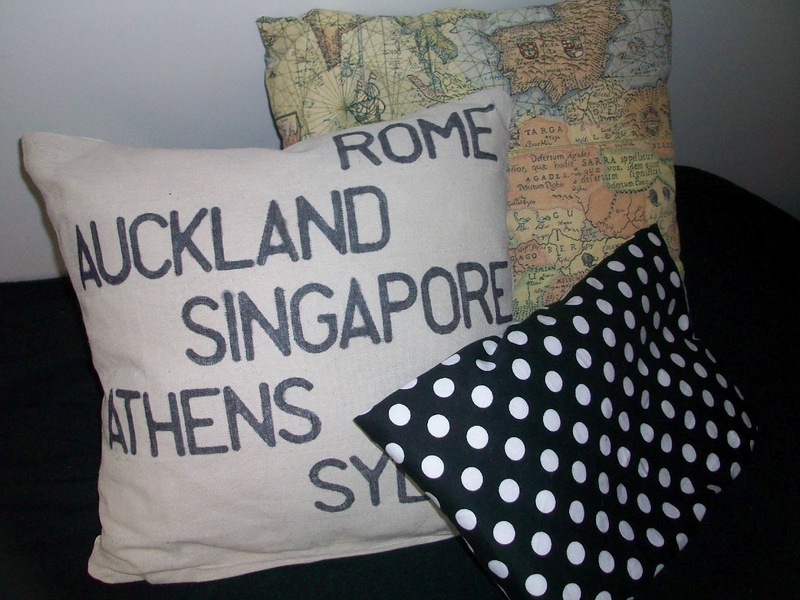 all you need is a permanent or fabric marker, cushion cover, cardboard, pencil, ruler, and stencils. for this pillow i asked ben for his favourite places around the world, most he hasn't visited but loves the monuments of the city or country, or has some connection to them. 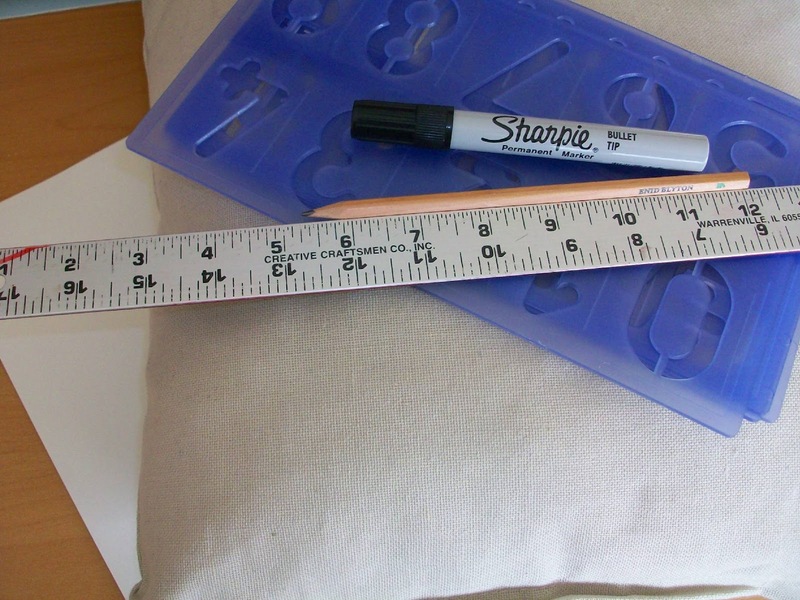 the pencil and ruler are for ruling straight lines on the pillow, and the card goes inside the cover of the pillow so there is no seepage through to the reverse side of the marker. rule pencil lines and begin! 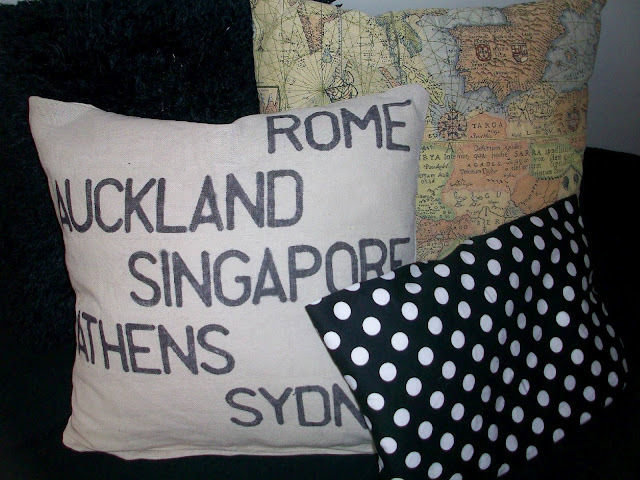 thanks goes to the shelterness website for the cool tutorial that was really easy to follow and gave me plenty of inspiration to make a pillow befitting my boy peep!